I’ve never been a fan of yogurt until I discovered Greek yogurt. 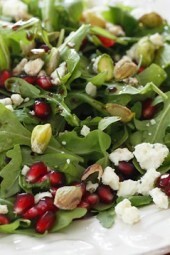 I love the slightly sour taste it has topped with some fresh berries, sweet honey and some nuts for texture. I swear I feel like I am eating something bad! It’s like having dessert for breakfast yet, so healthy with the added benefits of protein and active probiotic cultures which are great for your intestines. I am starting to see Greek yogurt everywhere now, in Trader Joe’s and even my local supermarket carries Chobani which is what I used here. I’ve never been a fan of yogurt until I discovered Greek yogurt. I love the slightly sour taste it has topped with some fresh berries, sweet honey and some nuts for texture. I swear I feel like I am eating something bad! Place yogurt in a dish, top with berries, nuts and honey. Granola would taste great too. I subsituted fresh dates or figs for the honey. I cut them up really small, almost like sprinkling tiny oats onto the yogurt and berries. Fresh (not dried) figs are zero points. As is Greek yogurt and berries. I’m not entirely sure how the zero point thing works but this would be a zero point snack or breakfast. Recently made this for breakfast. I was surprised at how filling this was. I used 1 cup fat free yogurt, 1/2 oz chopped pecans (didn’t have my phone to look up your recipe so it was 7 pts total) and blackberries with 1 TBSP local honey from my favorite honey man! So much yum and an easy make ahead and grab breakfast. Love your meal plans and recipes! Thank you! The honey that I have is 4 F/S points for a tbs. & I’m showing walnuts as 2 for a tbs. Can someone help me out with this? I’m having a lot of problems losing & I’m trying to stay on track & motivated! Thanks!! My daughter suggested adding banana. Delish! Can you make this the night before? If so, how many days can you make at a time? This came out to 6 FS pts for me because one T honey is 4 and one T of nuts is two. Am I doing something wrong in my calculations? You listed it as 5. It was delicious btw!! Hi Shari! The only accurate way to determine any recipe’s SmartPoints® value is to plug the ingredients into the recipe builder on the Weight Watchers website (Click on “My Foods,” select “Recipe,” and click “Create a recipe.”) which does not count fruits and vegetables in recipes in the calculations as they are now 0 points. Hi Gina! I did what you said by creating a recipe and it still says 6 smart points. Are you sure you have it calculated right? I am allergic to garlic – is there something else that I could use. So many recipes call for it. Did you make your yogurt with your pressure cooker? if not you should! I have a batch in now. Hi! 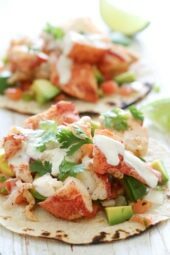 What is the calorie count on this recipe? Do you know the calorie info for this? It will depend on what brand on Greek Yogurt you use. The range is 160-200 calories. 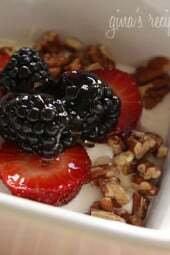 I use Fage with raspberries and walnuts which comes to 280 calories. I am also a recent convert to Greek yogurt. This stuff tastes amazing! I will never eat other yogurt again if I am faced with the choice between the two. I love eating this stuff with honey, blueberries, and granola. I am a runner who just over the past 6 monthes became quite serious and I love eating this pre and or post run (easily digested) . This was very tasty and filling. 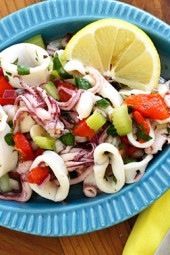 I use Greek yogurt in place of so many things but I also love to eat it with fruit and this added just the right kick. i use regular greek yogurt and add berries and cinnamon – it is my favorite meal of the day!!! You are a points plus wizard! this is going be be a dessert or breakfast very soon. Just made this for breakfast…delicious! I have made so many of these recipes and every one of them has been great. I appreciate all your hard work on this website Gina! I'm so happy to hear that!! And I understand because I have a passion for food as well!!! I have to say this….I found this website right after Thanksgiving so I decided I would try dieting ONE MORE TIME….the recipes are so delicious and "down to earth" that I have been able to stay on my diet…after only 1 month I have lost 12 lbs. Thank you so so so much for sharing these recipes!!! Eating has always been a "hobby" of mine and I didn't have to give up my hobby just to be on a diet!!! try Sarabeth jam with the greek yogurt…so good!! I just discovered Greek yogurt myself. It is a terrific substitute for sour cream. I've been using it on tacos and potatoes! Never added jam before but I'm sure it would taste great! I'll give that a try next time!! What's also really great is adding 1 tsp. jam to the yogurt and 1/2 cup of Kashi Go Lean on top – adds 2 points but it's a great alternative to granola (it feels like the same to me!) and packs a good fiber/protein punch. Oww instead of honey have you tried agave nectar? Soo good. Yes, same points with plain non fat yogurt. can i just use plain non fat yogurt, not greek yogurt and get the same points? Gina, for the real Greek yogurt experience, strain the yogurt overnight in cheesecloth or a fine metal sieve. The thick yogurt, honey, berries will transport you to Greece! I am a recent convert myself and I will never go back to plain boring yogurt again!! I’ll have to try it, that looks delicious, Gina! Greek yogurt is the only yogurt I like too. Those berries look so juicy! 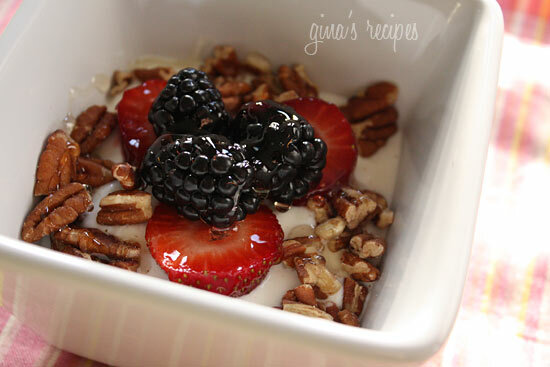 I love greek yogurt with honey…so Im sure I would enjoy it your way too! 🙂 THX! Mmm, what a yummy treat! I am a fan too – starting straining my own yogurt to make it, MUCH cheaper. There’s a link on the left sidebar on my front page if you’re interested but nothing much to it really. The reduction also increases the protein substantially so a good bang for the buck and you can use regular or low fat yogurt – just get a good one with the active cultures in it. I love mine with walnuts and honey. YUM! !